Author Chat w/ PJ Schnyder! Come chat with her 12-3 pm PST today | Got Fiction? Please welcome PJ to DemonLover’s! PJ is an author of Paranormal Romance, Sci-fi & Steampunk. We are so happy to have her join us today 12-3pm PST. 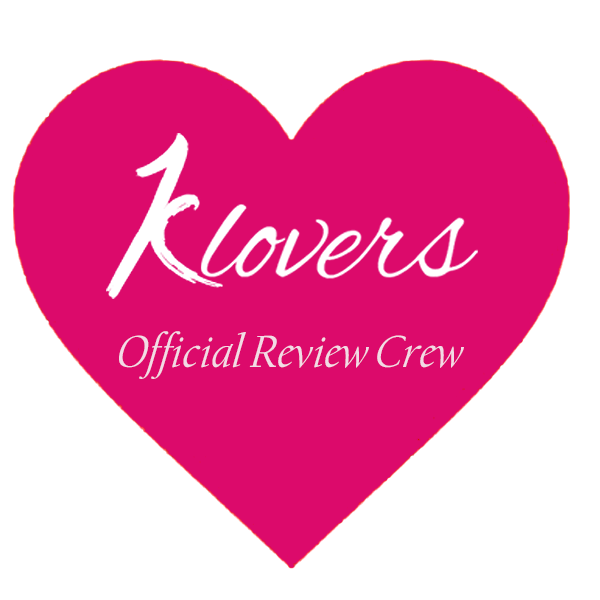 Her novel Hearts Sentinel was just reviewed by DemonLover and received 4 Stars. PJ is an author to watch, many more good things will surely come from this talented writer. 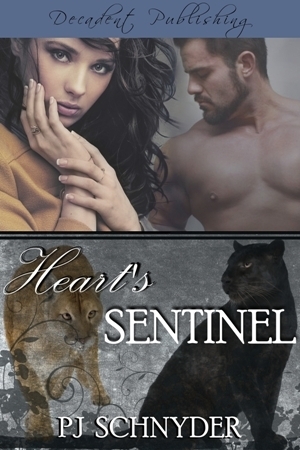 Would you like to win an Ecopy of Heart’s Sentinel? Join in the chat, leave a comment and get your chance to win one of two copies. Did you RSVP for this contest? If not, go to the review on this site and enter your email address to be eligible; while you’re there…read the review. I’m recently divorced and learning to be me again. No kids, but I have two loyal dogs and a super stealthy ninja kitty to keep me company. Now, my writing is done in Liquid Story Binder with component based authoring, but the stories still start as bits of random thought and captured plot bunnies in a notebook. If you ever have the chance to spend time with my little sister and me in tandem, you’ll find it to be a unique experience. It’s a bit like watching the Bynars interact, anime style. Without her, some of my stories would never have evolved from the random plot bunnies hopping through my head. I am very thankful to her for helping me round up those plot bunnies. Two full length novels are sitting on the shelf, one of which will never see the light of day (it really was that bad). They both helped me find my voice, though, and laid the groundwork for later worlds. I need some sort of media to capture words. I prefer my laptop and Liquid Story Binder for heavy duty writing, but I often draft scenes on my iPad in Notes or jot down outlines in a paper notebook. I’ll even capture random tidbits in my Blackberry. Thus far, Heart’s Sentinel is the only full length novel and wins by default. Red’s Wolf is the second in the Terra’s Guardians series and novella length, while Evie’s Gift is completely set apart as a steampunk short story with romantic elements. I gotta go with Toby. Read Evie’s Gift and you’ll want a Toby too, trust me. I’m focused on Book #3 in the Terra’s Guardians series, tentatively titled Full Disclosure. I’ve also got outlines for books 4 and 5 with a few rogue scenes already written. Evie’s Gift is a steampunk short story completely separate from the Terra’s Guardians series. It will be released by Decadent Publishing in December as part of their holiday line up. I’ve wanted to write steampunk for a while now. Evie and her little companion, Toby, spoke so strongly to me as a pair that I just had to give them an airship to ride, a submarine trying to blow them up and fun adventures to be had. Absolutely. The plot bunnies, they are Everywhere. Readers can look forward to a sci fi romance series from me someday as well as another paranormal romance series. 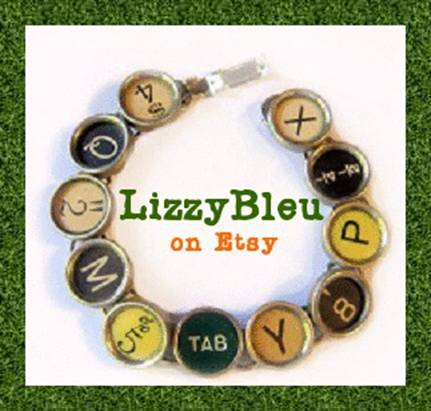 I’d also love to write a follow up to Evie’s Gift and add to my steampunk work. In fact, I recently attended PhilCon with him as the Principal Speaker. Gah. Do I have to pick one? My favorite series is the Black Jewels by Anne Bishop. I love the way she built the Realms with her passionate and violent Warlord Princes. While I love Anne Bishop, I also can’t get enough of Lisa Kleypas, Kelley Armstrong, Patricia Briggs, Nalini Singh and Lora Leigh. Of my current book covers, I have to say Red’s Wolf is my favorite. I love them all, though, and Dara England is a fabulous cover artist! Thank you for your time, please add anything extra you think is relevant or just needs to be said. I’d like to thank you, Kelly, for reviewing Heart’s Sentinel and hosting me for this author interview. Heart’s Sentinel will be coming to print early next year for those who love the feel of paper under their fingertips. I’m also looking forward to getting my copy of your 2011 Man Candy Calendar in support of a good cause. SINGLE MALT (Agents Irish & Whiskey) by Layla Reyne Release Tour! I know you recently joined a writing group, but who helped you along the way with Heart’s Sentinel? Did you have a group of beta-readers? I don’t base my characters on real people but I can tell you Adam’s knack for puns comes from a good friend of mine, Alex. OK, sis, while I’ve got you cornered; how much of what you write is pulled from a situation or conversations you experience, and how much is made up from whole cloth? Also, not counting beta reads and writing projcts, how much do you read, and of what? I love being a part of the Rebels! Yes, I had a few very special beta readers help me polish Heart’s Sentinel for submission. I draw inspiration from all sorts of snippets of conversations and situations. They make for interesting gems in my overall manuscript. I’d say the majority of what I write is cut from whole cloth, accented with those bits of inspiration here and there. There are a few authors I follow enthusiastically: Anne Bishop, Patricia Briggs and Nalini Singh. I try to snap up their new releases and short stories asap. Those are “spoil me” reads that I’ll take the time for, no matter what I’ve got going on. I’m trying to catch up on Kelley Armstrong and also on several sci-fi book recommendations from our friend, Dusty. I also try to read stories from our fellow Decadent authors, always a fun indulgence! I try to write a little every night for a few hours. I shoot to complete a cohesive scene, rather than a particular word count. Just dropping by to say “Hi”. I love Evie’s Gift, BTW. Not that I’m partial to Steampunk or anything:) LOL! Hi, PJ! I just started writing, just for fun. But I do wonder about someday attempting to get published. What pushed you over from writing just for you and into sharing your work? I’d been writing just for me for quite some time and I came to a point where I felt I wouldn’t be challenged to improve my writing craft without the added feedback from sharing my work. Working with my editors in the publishing process has taught me a lot, helping me to improve my writing significantly. Congrats on the book! Great interview! How long did you query Heart’s Sentinel before it was picked up by Decadent? Heart’s Sentinel went through a round of query (and subsequent revision) and was entered in Authoress Anonymous’ Secret Agent contest in Aug of 09 before it was picked up by Decadent this past summer. I love Sci-fi/fantasy books and I understand you write sci-fi erotica. Do you think I would enjoy your novels? What elements of your novels do you think would convince me to to enter into this territoy? this is a neat idea, thanks to you and Kelly Demonlover for doing this. I also adore Patty Briggs and Kelley Armstrong, they are among the best. If you had to choose only one genre to write in, what would it be and why? Is there any genre that you won;t ever write in? Do you read the same genre of books you write or does your taste vary? I really like the diabetic addition(if that makes sense) in Reds Wolf, I think it adds a bit more realism to the story. I do write sci fi and paranormal romance, maybe not considered erotica just yet. My heat level is around about a 3 or 4 out of 5, depending on reader preferences. I grew up reading sci-fi and fantasy, which has influenced my writing. I spend a lot of time on world building and character development, so I think you’d enjoy those aspects of my stories. My stories might be a good bridge or introduction for you into the world of romance because I bring so much of what I loved in sci-fi/fantasy to my story telling. A genre I won’t ever write in…I’d say horror. I’m awful with horror movies and books, falling victim to nightmares and generally making a fool out of myself. Writing horror, I’d never do the genre justice and there are some fantastic horror writers out there. Paranormal romance is one of my favorite genres, especially works by Lora Leigh, Angela Knight and Nalini Singh. But I also read a lot of sci-fi and fantasy, like Anne Bishop, Anne McCaffery, Mercedes Lackey, Robert Heinlein and Terry Brooks. Research and drawing from real life experience adds to my stories. I’m glad you enjoyed the added detail in Red’s Wolf. Hi Lisa, thanks for coming by! Maybe I’ll follow your excellent example and give it a go someday. Please expand on what you consider “awesome”…=d What parts do you like writing the most? What will you skip the boring stuff for? Action? Character-building dialog? Romance? I don’t think of any of my scenes as boring, because if they are, I’m doing something wrong. At that point, it’s a question of how to turn up the heat or increase the tension. It looks like we’re out of time, all. Thank you to Demonlover for having me here and big hugs to everyone for stopping by. The questions were really great! I hope you’ll continue to enjoy the Terra’s Guardians series and check out Evie’s Gift coming in December from Decadent Publishing. Was their someone who inspired the main character Adam in Heart’s Sentinel? How often do you sit down to write. And do you write with a word count goal in mind, or just go with the flow? What a fabulous turn out for our chat. I want to thank PJ and everyone for coming by DemonLover’s books & more. Don’t forget to pick up your 2011 wall calendar, makes a great present and it’s fantastic! check back for a sneak peek at the inside! Have a great Sunday and come back real soon. Hey Kel, this turned out awesome! Do you consider yourself a pantser? Or a plotter?